When a small group of free men of color gathered in 1838 to celebrate the end of apprenticeship in Barbados, they spoke of emancipation as the moment of freedom for all colored people, not just the former slaves. The fact that many of these men had owned slaves themselves gives a hollow ring to their lofty pronouncements. Yet in The Children of Africa in the Colonies, Melanie J. Newton demonstrates that simply dismissing these men as hypocrites ignores the complexity of their relationship to slavery. 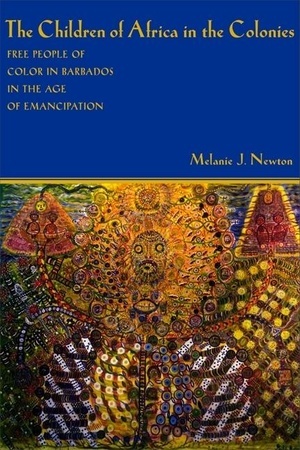 Exploring the role of free blacks in Barbados from 1790 to 1860, Newton argues that the emancipation process transformed social relations between Afro-Barbadians and slaves and ex-slaves. Free people of color in Barbados genuinely wanted slavery to end, Newton explains, a desire motivated in part by the realization that emancipation offered them significant political advantages. As a result, free people's goals for the civil rights struggle that began in Barbados in the 1790s often diverged from those of the slaves, and the tensions that formed along class, education, and gender lines severely weakened the movement. While the populist masses viewed emancipation as an opportunity to form a united community among all people of color, wealthy free people viewed it as a chance to better their position relative to white Europeans.